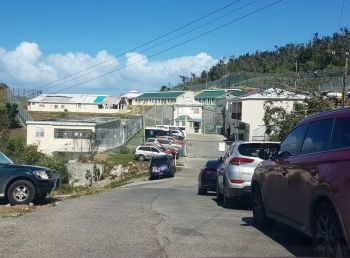 BALSAM GHUT, Tortola, VI – An inmate of Her Majesty’s Prison at Balsam Ghut was reportedly robbed by two other inmates of his gold rings and Gucci chain. According to reports, the incident reportedly occurred sometime around November 9, 2018, when two inmates used a knife to rob the prisoner of his rings and chain. Police and Prison Officials are said to be investigating the matter. Virgin Islands News Online will withhold the name of the prisoner who was robbed, as he is also reported to have been threatened. Inquires made to the new St Lucian Prison Boss, Verne A. G. Garde were not answered up to publication time. Under Mr Garde, he has tightened up on rules at the government run facility, for example, staff are prevented from bringing cell phones to work. It remains unclear however, if his new crack down and new rules are effective. 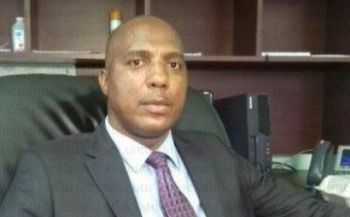 Mr Garde has the full support of Honourable Myron V. Walwyn (AL), the Minister for Education and Culture, who hand-picked him for the job over other locals who are qualified. The Sup. he is making a valiant effort. Give him the support. Sometimes when you are in you don't look outward instead it is business as usual even if ineffective. Get someone out there all the while for a different experience and the right training to be ready to take over in 2-3 years. Myron has no confidence in locals. The locals have no confidence in Hon. Myron Walwyn eirher. So we're even. But why they have jewelry in prison anyway? Balsalm Ghut Jewelers. I wonder what they have on sale for Christmas. Do they have laways? Free gift wrapping? Do they take credit/debit cards or cash only? The Prison, the technical school, the ports, all St. Lucians found by bald head. What a thing to tell the King. I wonder what is this St. Lucian connection about? All Myron does is try to fool we the youth to get votes but he has no confidence in us as locals especially for big positiins. 12 hours without your phone is torture. What the 'eck is the prison uniform? Its a fri**** prison what the he** is he wearing gold chains and rings for ??? I DONT UNDERSTAND YOU PEOPLE. WHAT IS A PRISONER DOING WITH A CHAIN AND RINGS???? THEY KEEP CHANGING THE PRISON BOSS. BUT THE RULES AND DRESS CODES ARENT CHANGING. THIS IS A PRISON GUYS, NOT A HOTEL. THESE GUYS HAVE PHONES AND ARE SO F.... RUDE. While I do not see the sense in wearing such flashy jewelry in a prison, I can not and will not condone those morons for robbing the young man. You mean to tell me they're so badly off and so jealous of the mans bling that they had to stick him up? This just upset me and its not even me. I have never heard of a prison allowing jewelry. This place is a joke. Send them back to St. Lucia where prison is real. How come this prison allow the inmates do what they want to the point where they have no fear of committing crimes while incarcerated? I hope this new prison boss instill the rules that makes a prison a prison. ITS A SHAME2 C THIS TYPE OF BULL TAKE N PLACE N OUR COUNTRY!!! THESE R THINGS THAT NEED2 B MARCH4. MYRON BRING SOMEONE FROM OVERSEAS 2 RUN A PRISON & THEY'RE QUALIFY PEOPLE HERE2DO THE JOB. TRUTH B TOLD UNDER LOCAL SUPERVISON THERE WAS NEVER NOTHING THAT TOOK PLACE UP THERE WHICH NEEDED 2 B HUSH OR TIGHT LIP. THE AMOUNT OF ATTEMPTED MURDER ON PEOPLE LIFE TOOK PLACE UP THERE UNDER THESE OUTSIDERS SUPERVISON N HAS BEEN COVER UP IT MAKES U WONDER!! !